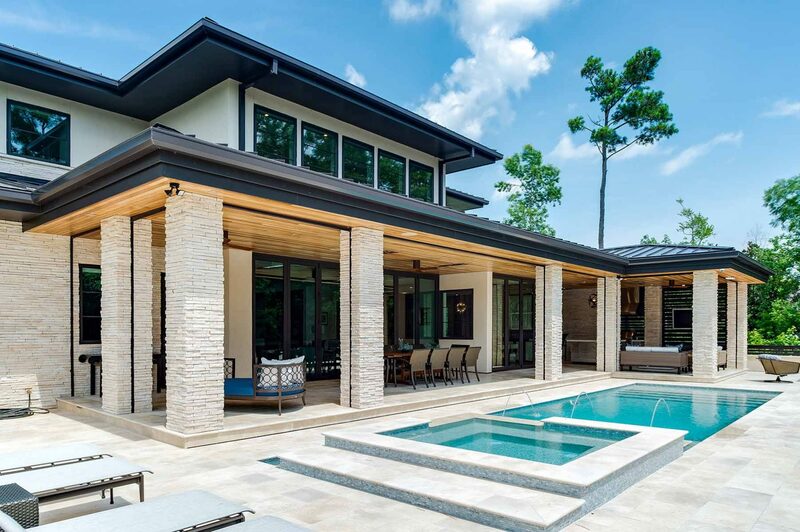 The vision of this Mid-Century Modern home was to be simple, yet luxurious, with the spa-like environment of a five star hotel. 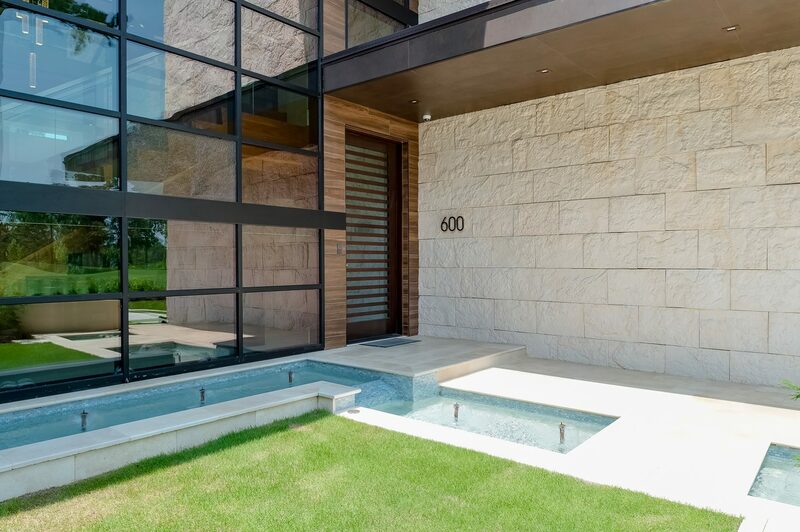 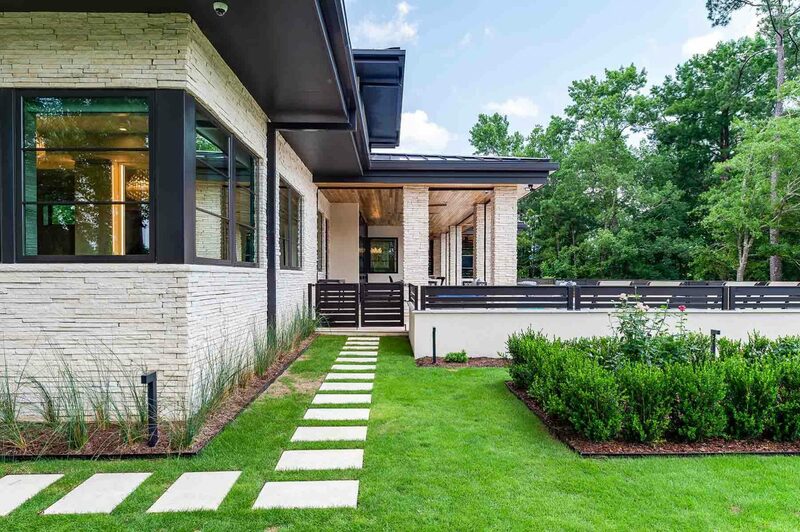 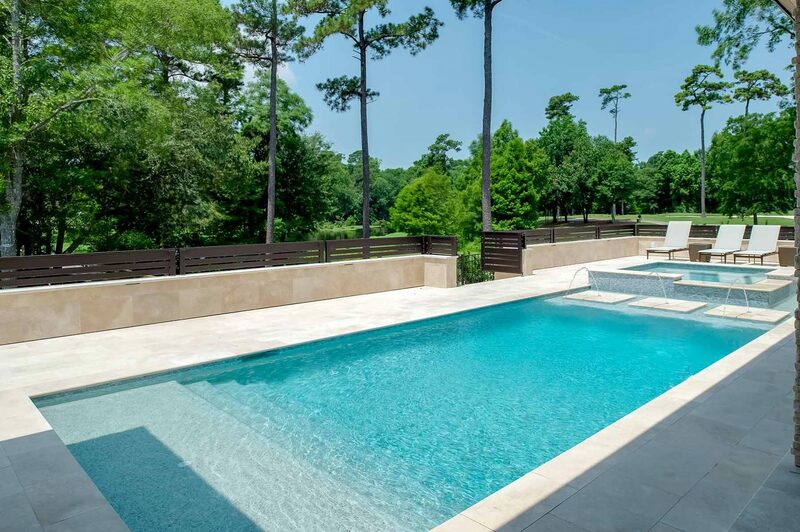 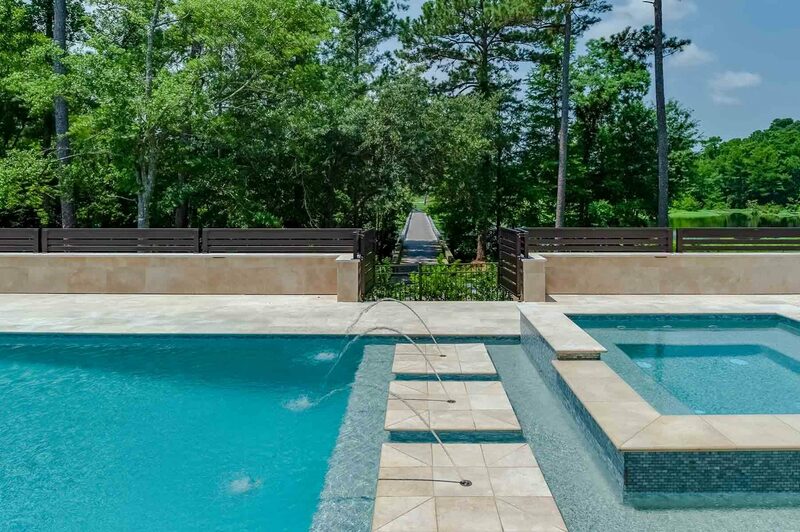 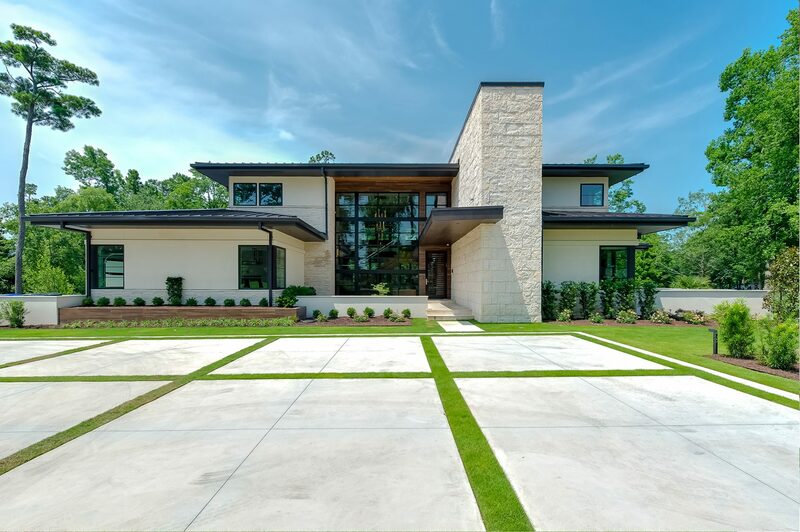 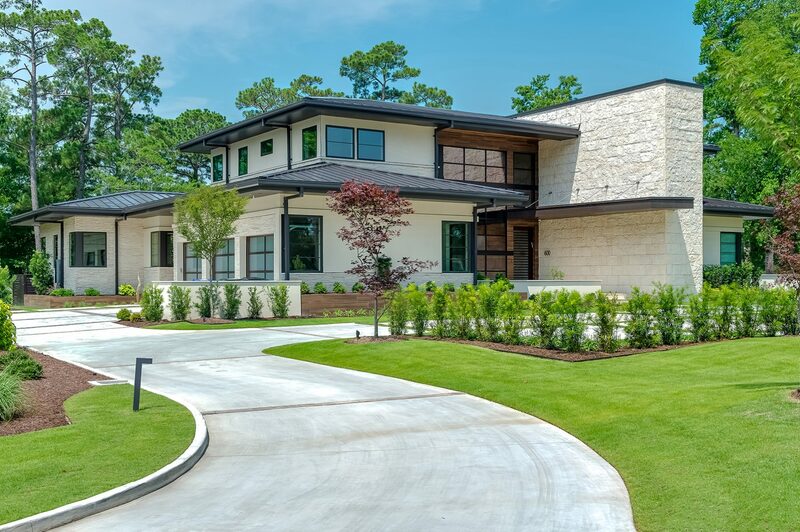 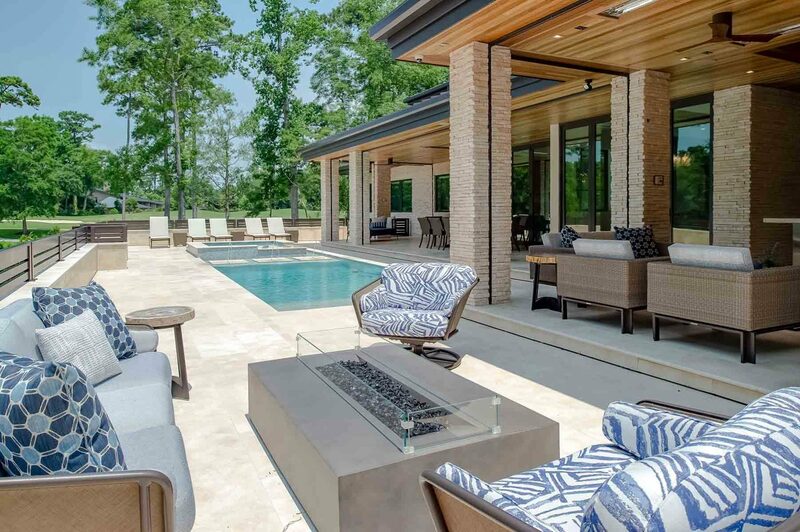 Surrounded by lush landscaping from the lake, forestry and golf course, this home’s exterior embraces natural elements through the use of stacked stone, water features and planters. 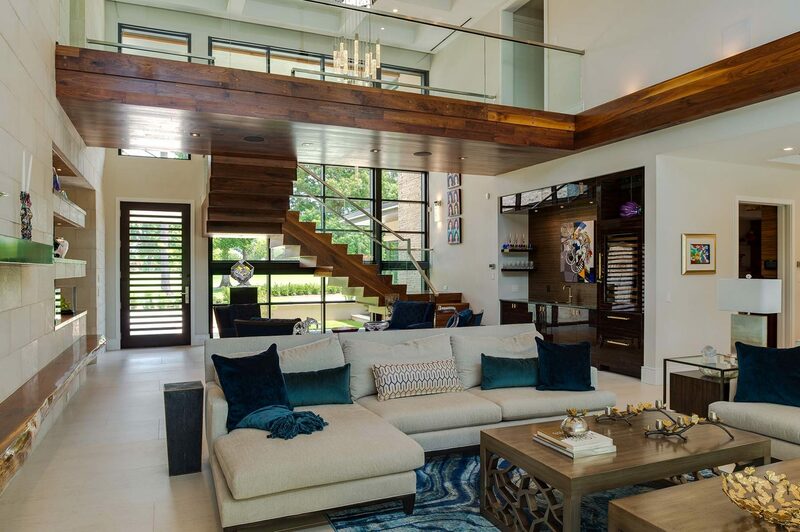 A reflective ambiance carries indoors with a “less is more” approach – encouraging coolness and quality over quantity. 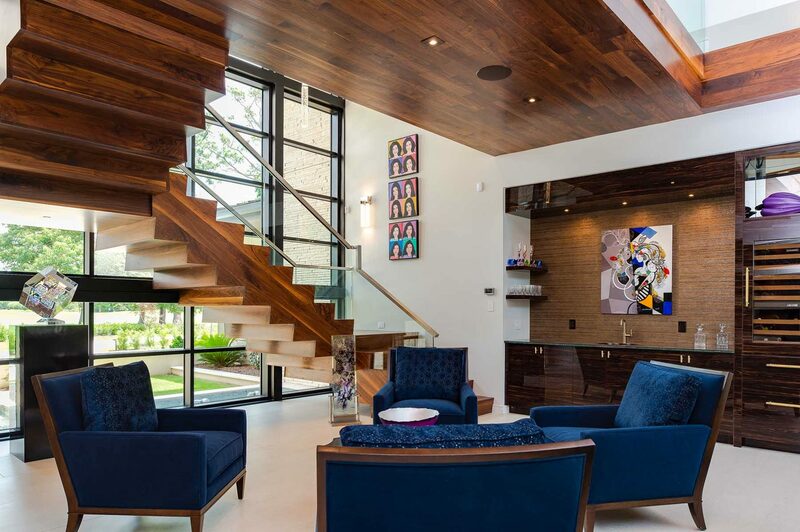 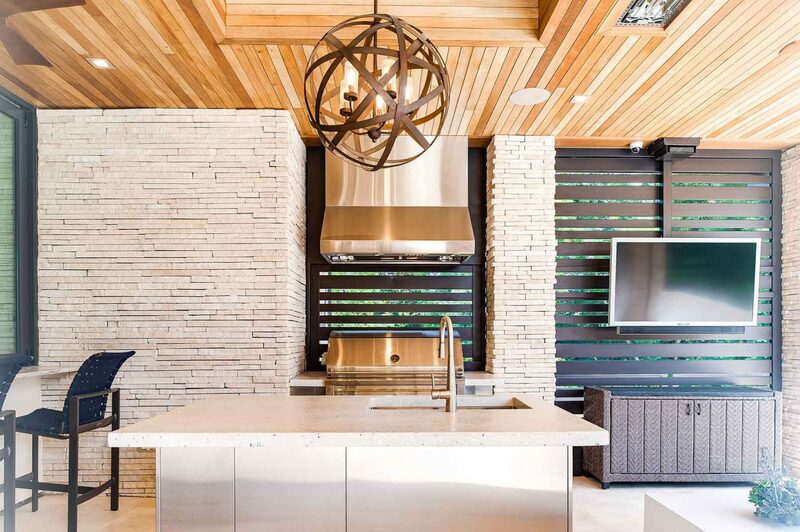 Warm stained wood featured on the fireplace mantel, beams, niches, stairwell and live edge kitchen island complement the light-colored walls, stacked stone, sleek large flooring tiles and modern fixtures, creating the perfect balance of nature and luxury. 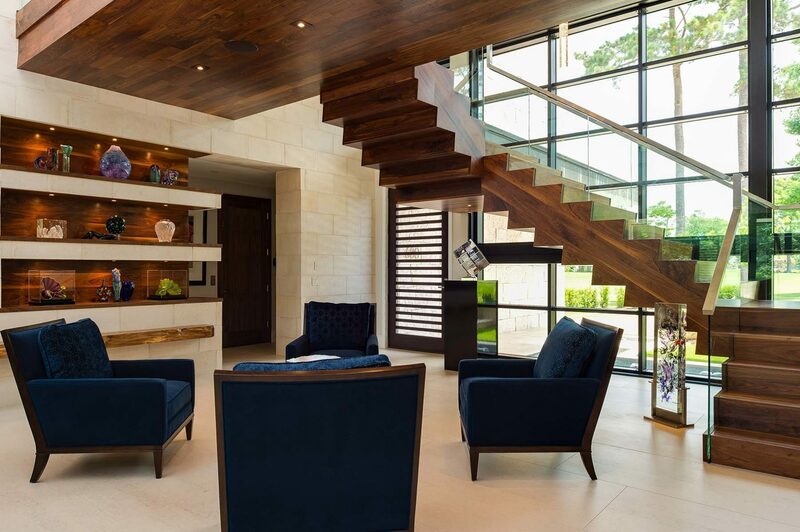 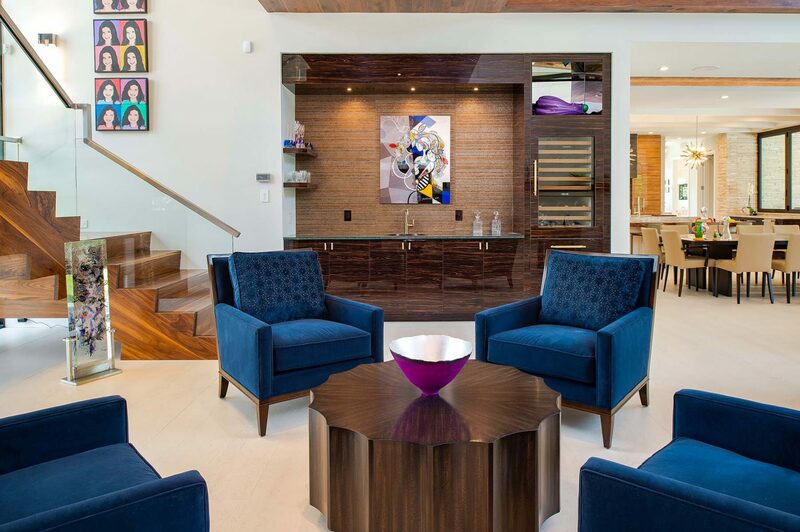 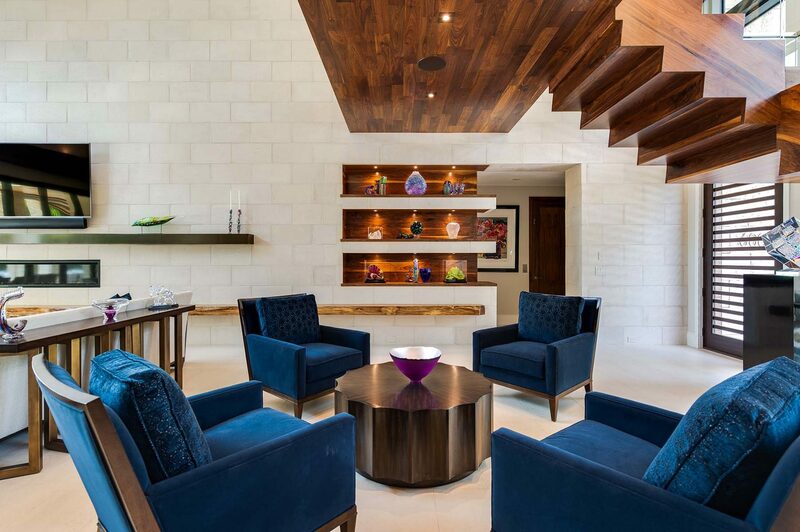 Notice pops of color, especially deep blues in the furnishings and fabrics that reflect the coastal environment. 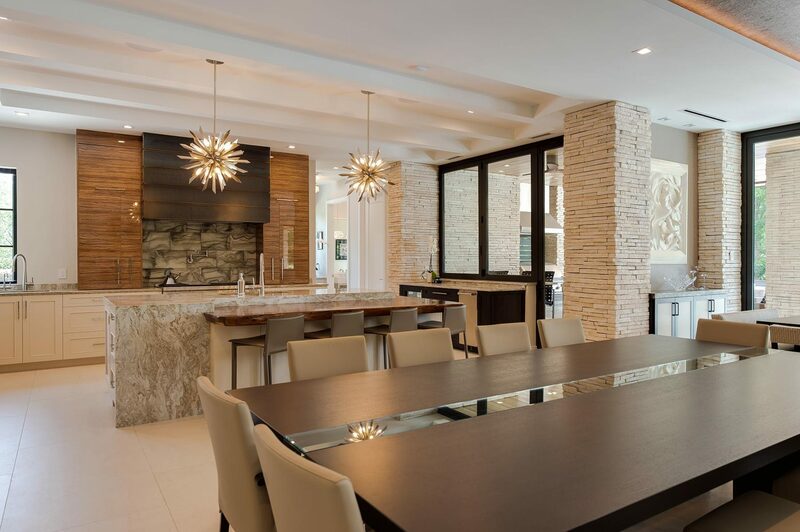 The home considers every aspect of our client’s lifestyle – both how it feels and how it functions. 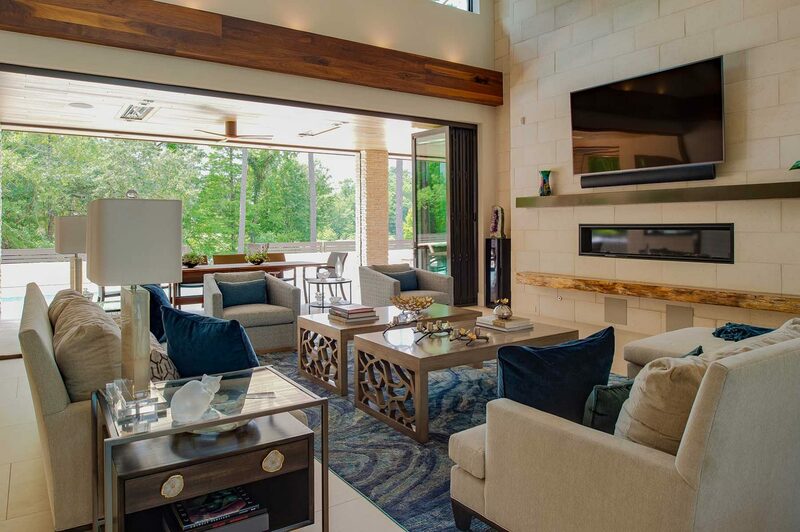 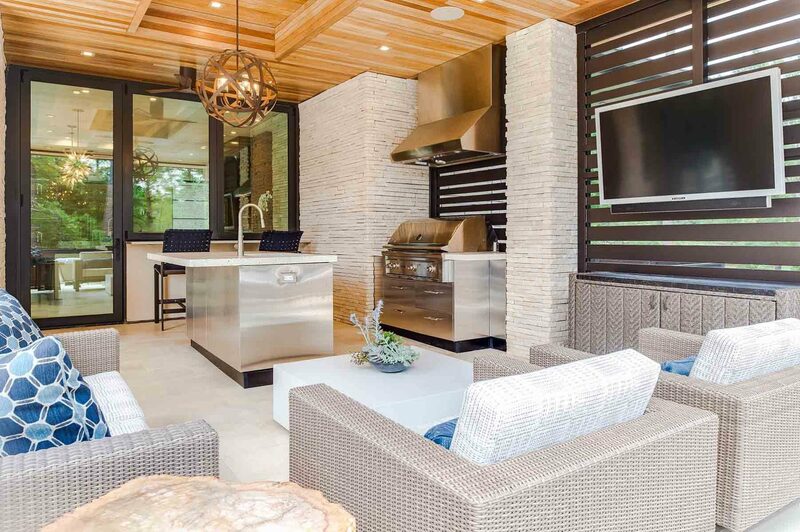 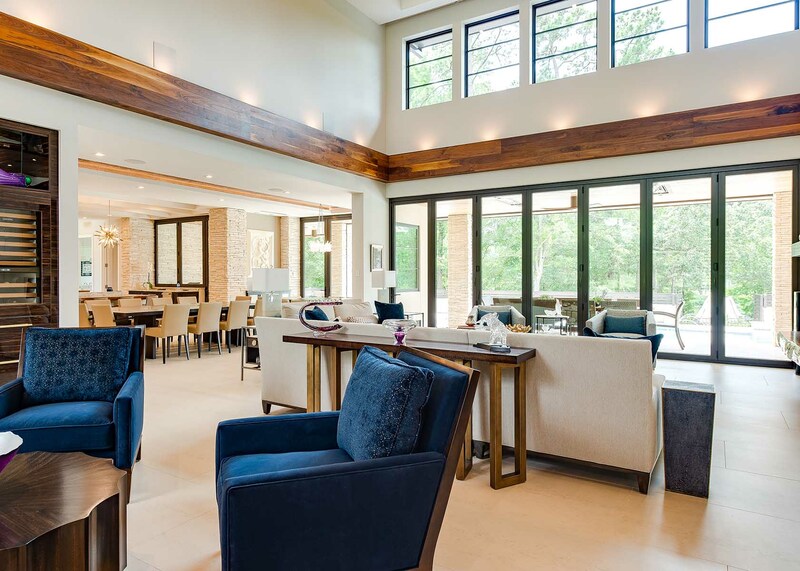 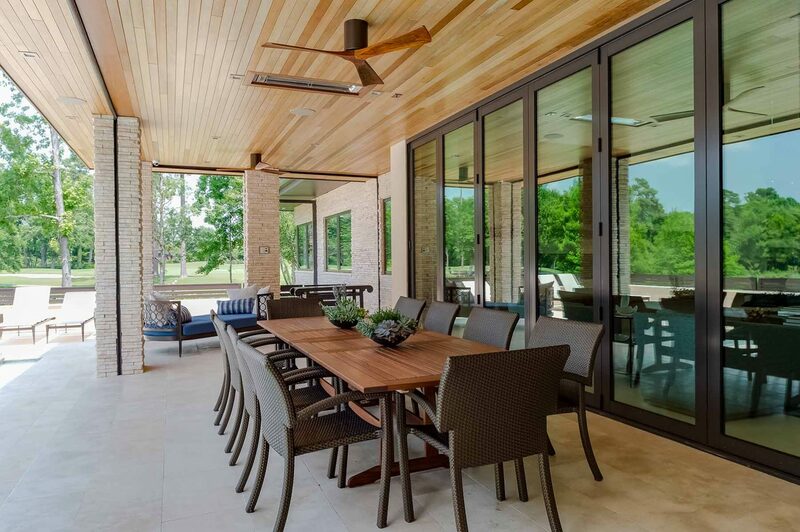 With indoor-outdoor living in mind, the design incorporates ample natural sunlight, a folding door unit to the lanai and a double functioning wet bar between the kitchen and summer kitchen.